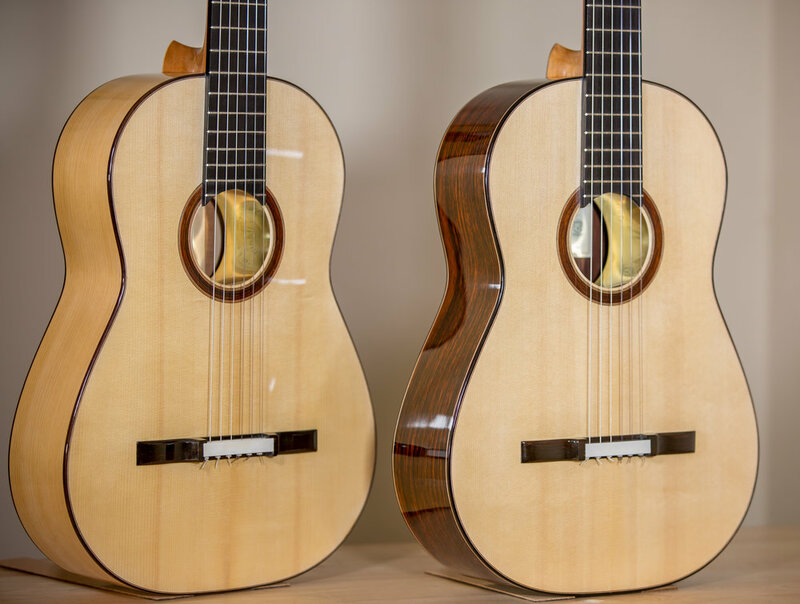 Two Torres "La Leona" copies available 10/5/2017. 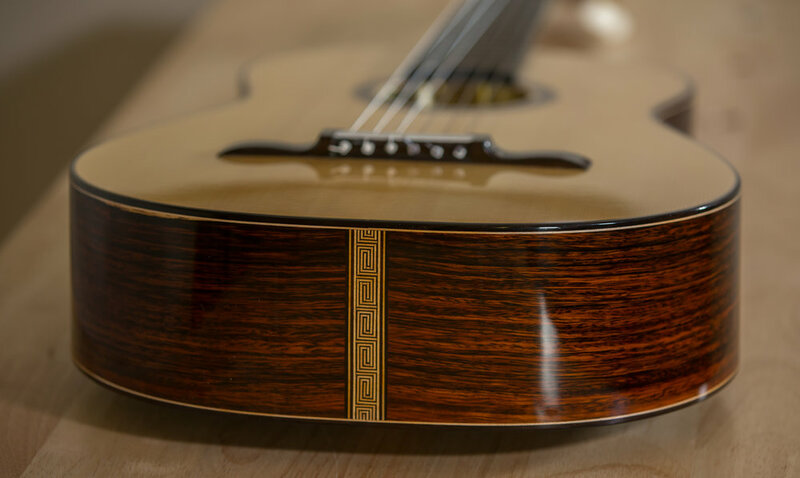 Two recently completed Torres "La Leona" guitars available. 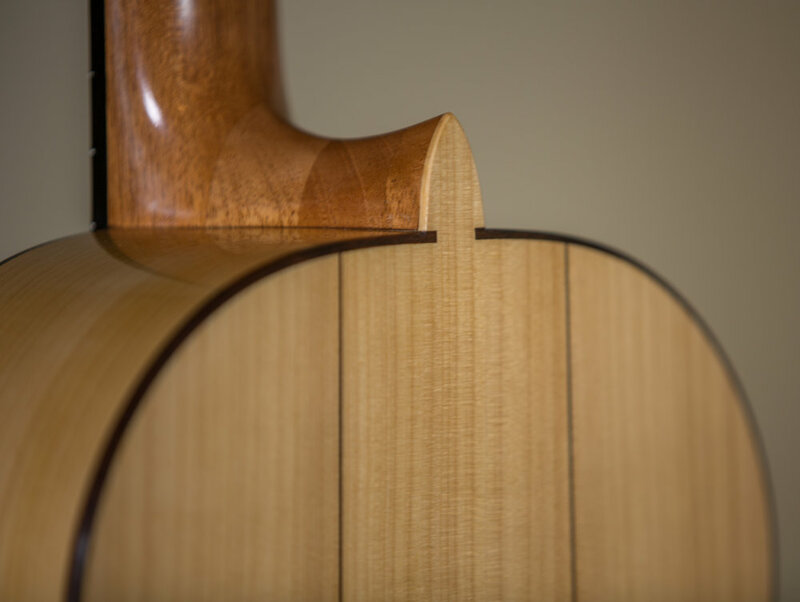 One with Cypress back and sides, and the other in cocobolo back and sides. 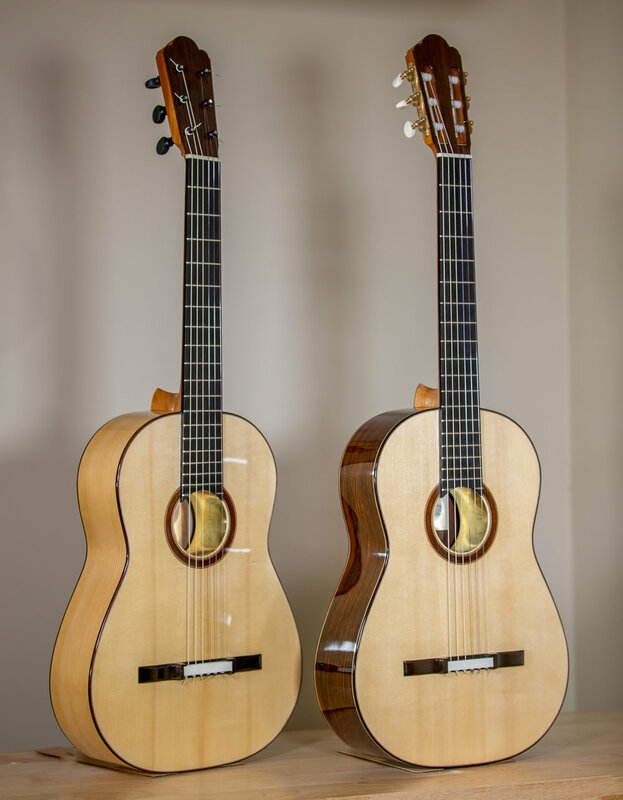 Both have aged 30 year old spruce tops, and brass floating tornavoz. 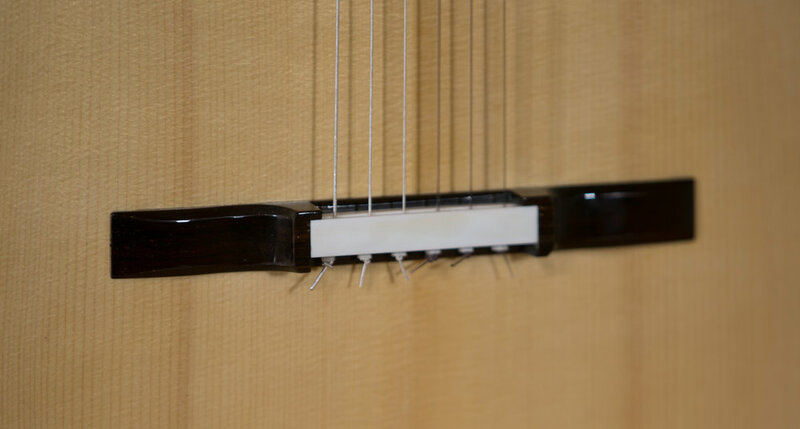 I designed a bridge that is based on the original, but has an adjustable saddle hidden under the tie block. Please see my video for more information on this. Both are French polished. 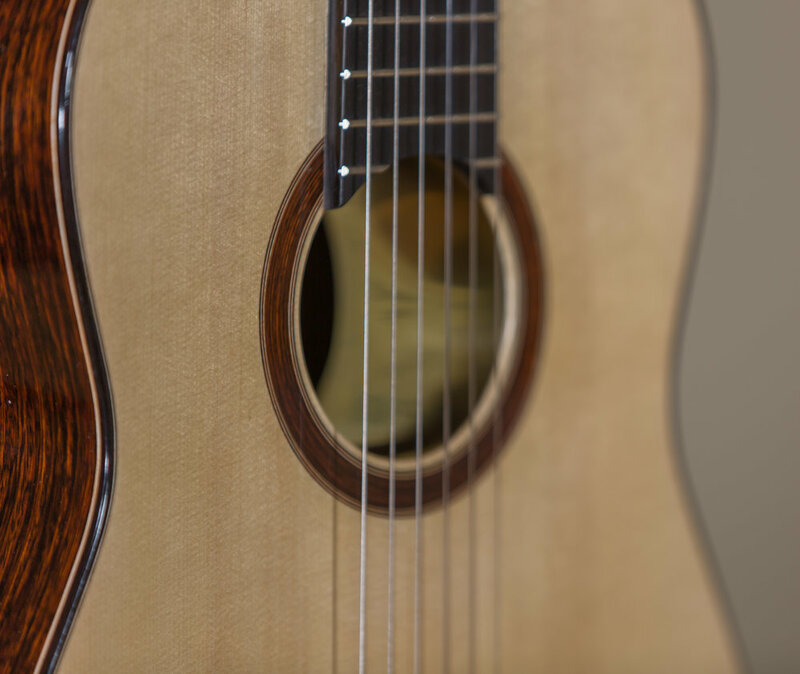 The original La leona had friction pegs, and was later converted over to mechanical tuners. 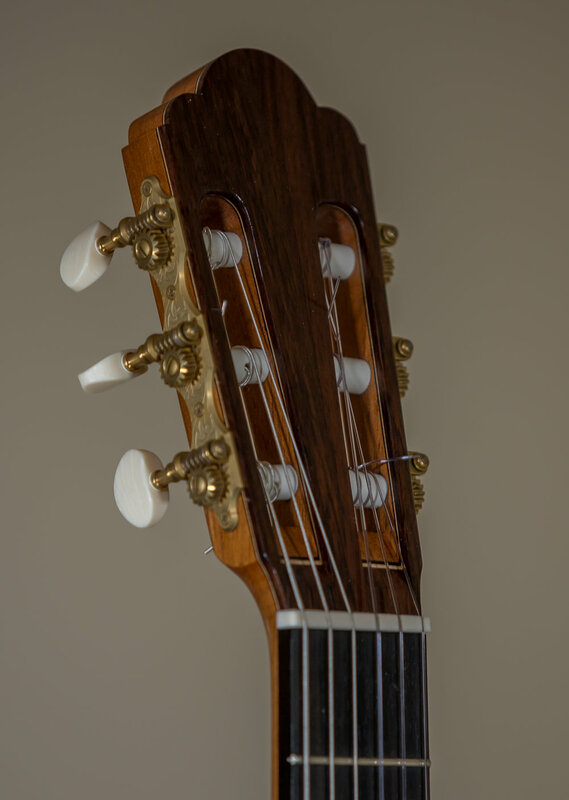 I love the look of the pegs, so on the cypress model I used "Pegheds" very smooth mechanical pegs that keep the original look but with the convenience of mechanical tuners. 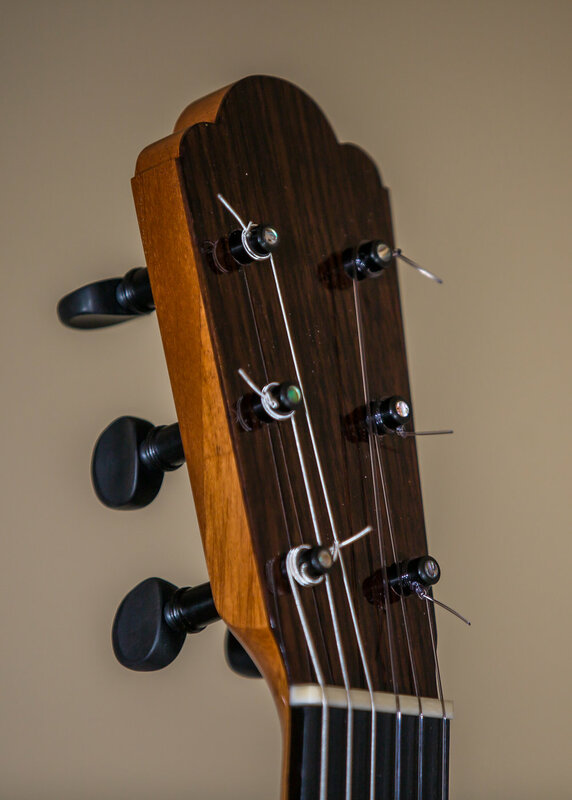 The cocobolo model has Gotoh Premium tuners. 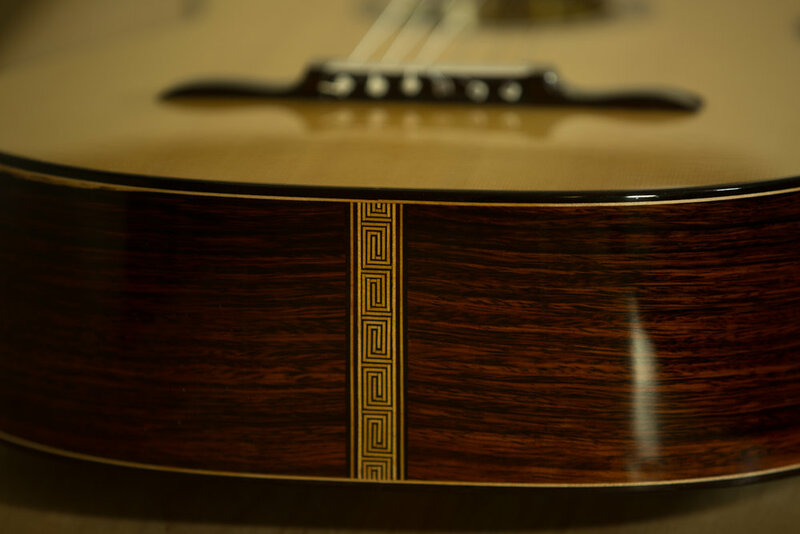 Comes with either a Humi-Metro case or Hiscox case. The Cypress La Leona is SOLD! 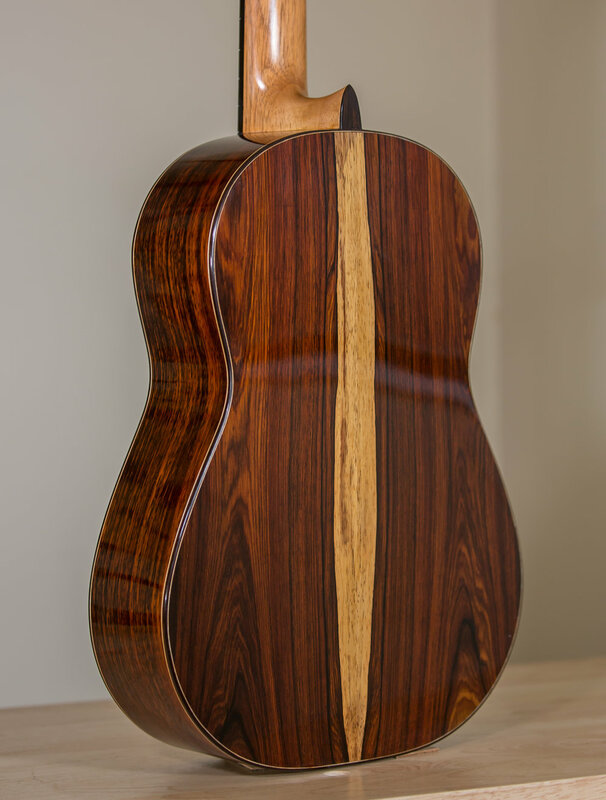 Cocobolo La Leona .... SOLD. La Leona Torres copy available. March 28th 2017. 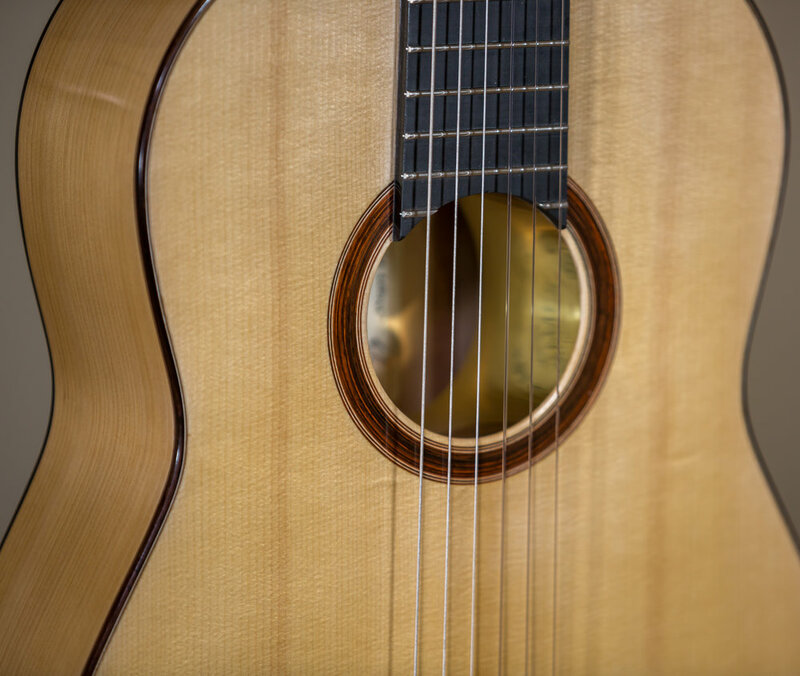 Superb DT guitar available.